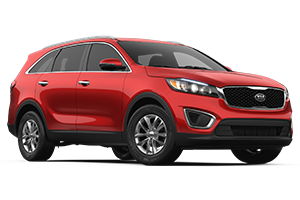 The 2018 Kia Sorento is now available at All Star Kia of Baton Rouge in Baton Rouge, LA. Drivers who take home this new family crossover for sale will enjoy the Panoramic Sunroof, Kia Drive Wise, Park Assist and 14-way Driver's Seat. Experience this new Kia for sale near Gonzales and Prairieville, schedule your Kia test drive today. The 2018 Sorento provides drivers with seven trim levels to navigate. 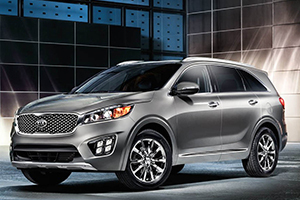 In the base Sorento L, the 2.4-liter DOHC 16-valve I-4 engine delivers 185 horsepower at 6,000 rpm. Fuel-economy numbers are twenty-one miles-per-gallon in the city and twenty-eight on the highway. Notable features include BLUETOOTH® Wireless Technology Hands-Free Connectivity, Rear-Camera Display, Steering-Wheel-Mounted Audio, Hands-Free Phone, and Cruise Control Buttons. Drivers who step up to the Sorento LX model will command the same powerplant mated to an Electronically Controlled 6-Speed Automatic Transmission with Overdrive. Take control of features such as Remote Keyless Entry, USB 2.1 Charger Ports, and a Center Console with Armrest. The 2018 Sorento LX V6 increases the engine to a 3.3 liter DOHC 24-valve V6. Horsepower also raises to 290 at 6,400 rpm and 252 pound-foot of torque at 5,300 rpm. When the time comes to rotate the tires, inspect the brakes, or change the oil on your new Kia, you can schedule your service appointment online. Next in our model lineup is the Sorento EX 2.0T. Here we find a 2.0 liter DOHC 16-valve I-4 engine with Turbocharger. Notable features include Android Auto™, Apple CarPlay™, and UVO with 7" Touch-Screen Display. Next up is the Sorento EX V6 with EcoMinder® Fuel-Efficiency Indicator, Drive Mode Select and Tilt and Telescopic Steering Column. If you're a driver who wants 3rd Row Air Conditioning with Controls, Leather Seat Trim and Smart Key with Push Button Start and Immobilizer, you will need to drive home in the 2018 Kia Sorento SX. This top-of-the-line Kia model offers Premium Nappa Leather Seat Trim, and a heated, Leather-Wrapped, Wood-Style Steering Wheel. 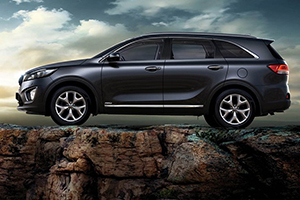 Which new Kia Sorento is right for you? During your test drive, our sales associates will review the trim options, warranty benefits, and financing your Kia Sorento. We are eager to welcome you to our new and used Kia dealership. We look forward to getting you into the driver's seat of a 2018 Kia Sorento with luxury amenities, connected audio features, and impressive safety options.  Make the quick trip from Gonzales and Prairieville to our Kia dealership in Baton Rouge, LA. Come to All Star Kia of Baton Rouge today!